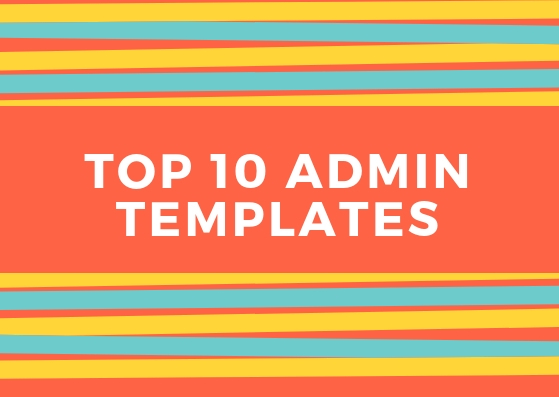 Following are the top most user-friendly admin Templates which covers the quality of designs and features which satisfies customers!! Remark responsive is admin Template which is based on the newest bootstrap v4. In this CSS source code utilize two most popular CSS preprocessor, Sass/ less. All components & layouts are work well for classic and material design styles. 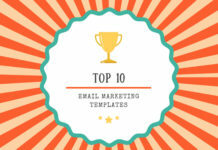 Remark focuses on designs of 6 different layouts to help you quickly developing. All web elements, navigation, pages are perfect responsive for any device. Remark provide 11 predefined color scheme to start with. You can also create your custom color scheme easily. 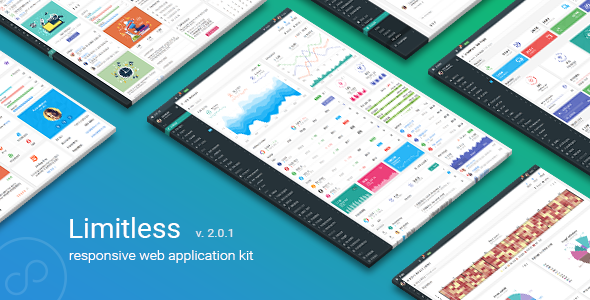 More than 1000+ UI components, 100+ widgets, charts etc are there in the Remark. So start building your project with any of its professional web application. Along with that, it has lots of ready to use components ideal for building your web application, cms, admin panel, e-commerce dashboard etc. Start Ui coded highly responsive for mobile phones & tablets. It is the complete package with many unique features, which helps you to build your next awesome product. 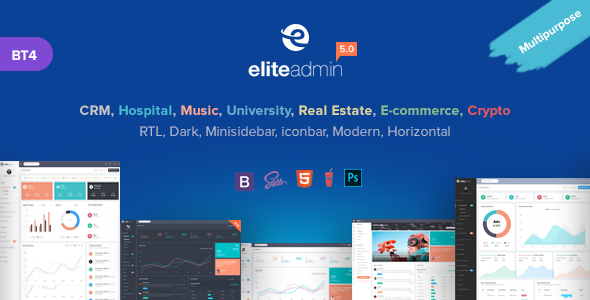 Elite is a multipurpose admin Template with amazing features & flexibility provided. It has included 9 predefined color scheme with elite admin especially Elite has 21+ demos & 120+ pages per demo to make it easier. 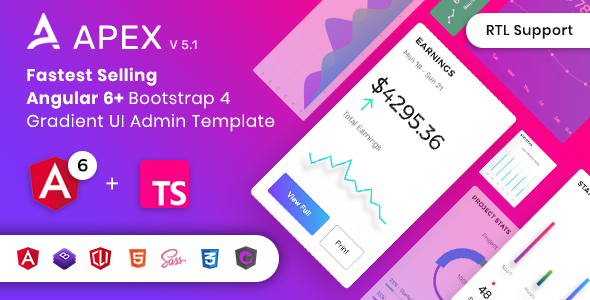 This template is made with bootstrap 4 with the fully responsive layout. Furthermore, Lots of variations for demos included with elite admin. 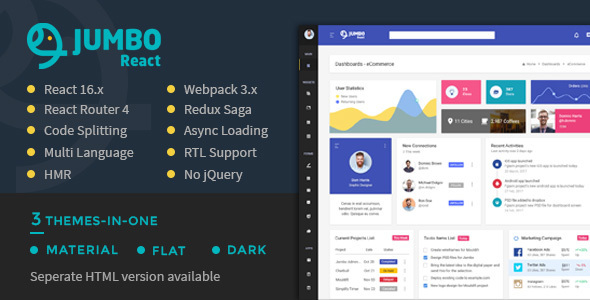 It has a huge collection of reusable UI components & integrated with latest jQuery plugins. It can be used for all type of web application like a custom admin panel, app backend, cms or CRM. Fuse angular 6+ version is the successor of great fuse angular KS version. It has AOT compiler support out of the box as well as a complete Rx example app. It uses an Angular material library. While it follows Google’s material design specs. It also has lots of unique and beautifully designed application & page design. Fuse is not only a great kick starter for your project but also an extremely good place to learn some of the advanced aspects of the angular JS. Limitless – a new professional admin Template based on a bootstrap framework. 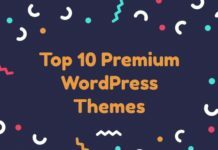 It includes 1 main & 3 alternative layouts, 1000+ commented HTML pages & other different features. Moreover Limitless provides a starter kit a set of blank pages that will make developers life much easier. Limitless app kit is fully based on LESS preprocessor. Probably the package includes both normal & minified CSS files compiled from Less. Also, it is translation ready- you can change language on-the-fly. The overall design is harmonious and user-friendly. Consequently doesn’t look messy and Ll files and codes are well structured. 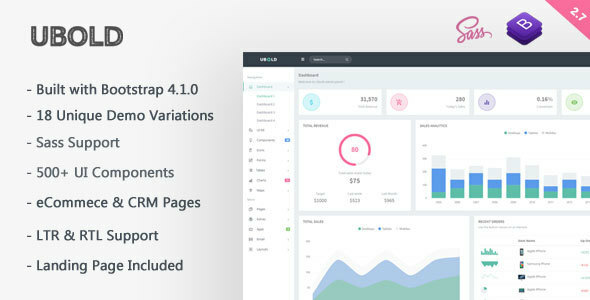 Ubold is fully featured premium admin Template built on Bootstrap 4.0.0, modern web technology HTML5, CSS3, and jQuery. It comes with many ready to use handcrafted components. Furthermore, the theme is fully responsive and easy to customize. Especially The code is super easy to understand and gives power to any developer to turn this theme into the real web application. A React redux has powered single page Admin Dashboard. It has Redux and Redux saga which helps to write an application that consistently runs in different environments. By just changing model, you can use this to build anything you want. 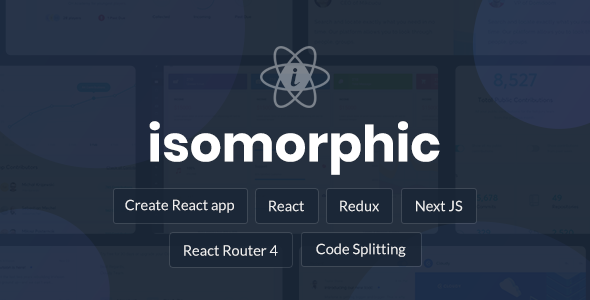 Even more, Isomorphic has added custom invoice builder. The whole template is well designed and ready for the RTL so each community can get the great result from it. Specially designed free sketch files are there in it. You can customize & make a presentation with a sketch file before starting an app. 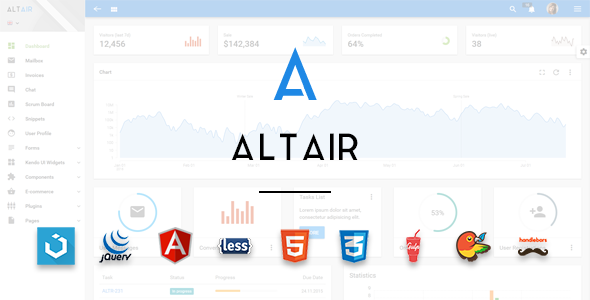 Altair is a professional HTML 5/css3 material design template based on UIkit framework & jQuery library. This template comes with bower( package manager), gulp- streaming build tool etc. Moreover, Altair has a responsive design which looks great on any device. By helping of Altair you can make your app unique & user-friendly. With the help of LESS files & gulp tasks, you can get easy customization for your work. 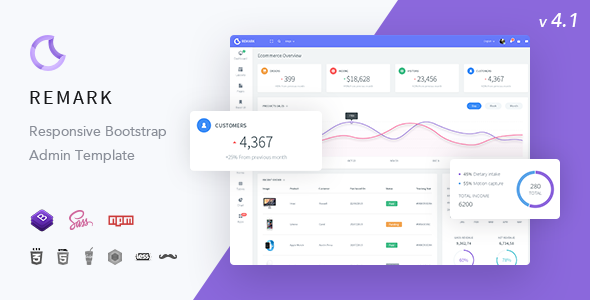 Jumbo React is a complete React admin template based on Material Design that is a great kick-starter for your project and application. 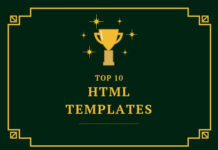 This template comes has 2 react admin templates with different design concepts. 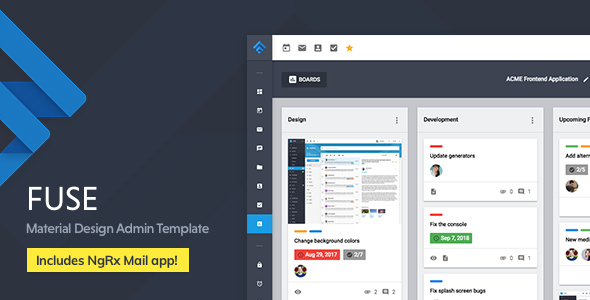 In contrast, Each of these admin templates has hundreds of UI Components, widgets etc. which you can use as a starter kit to start building your app. Along with this, you can develop a multilingual react app with internationalization feature introducing using the implementation of react-intl. It provides 4 pre-built app and 6 layouts.